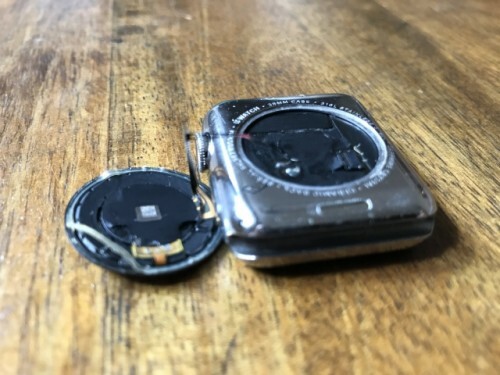 Apple has determined that under certain conditions on some Apple Watch (1st generation) devices the back cover may separate from the watch case. Apple will service eligible devices free of charge. Apple will authorize coverage for three (3) years from the date of purchase. Customers who faced with the aforementioned issue, can make an appointment at the Apple Genius Bar or visit the Apple Authorized Service Provider and have any affected Apple Watch 1st generation repaired for free. Some customers reported, though, that they have been forced to pay for this kind of repair. This misunderstanding could have happened because Apple hasn’t announced the change in their policy and some support representatives might not even know about it. Apple also recommended requesting a refund in case you have paid for the back cover repair earlier.